Get all the goodness of beetroot juice with the great taste of passion fruit with this organic fruit drink. Made with pressed beetroot blended with passion fruit juice and apple juice which takes away the earthy taste, leaving a sweet, distinctive flavour without any additives or preservatives. The Beet It Beetroot Juice with Passion Fruit - 750ml product ethics are indicated below. To learn more about these product ethics and to see related products, follow the links below. Always one of the better value for money organic juices. Some people don't like beetroot juice so obviously not for everyone and I do get a bit sick of it if I have it every day, but as long as I can have something else occasionally suits me fine! 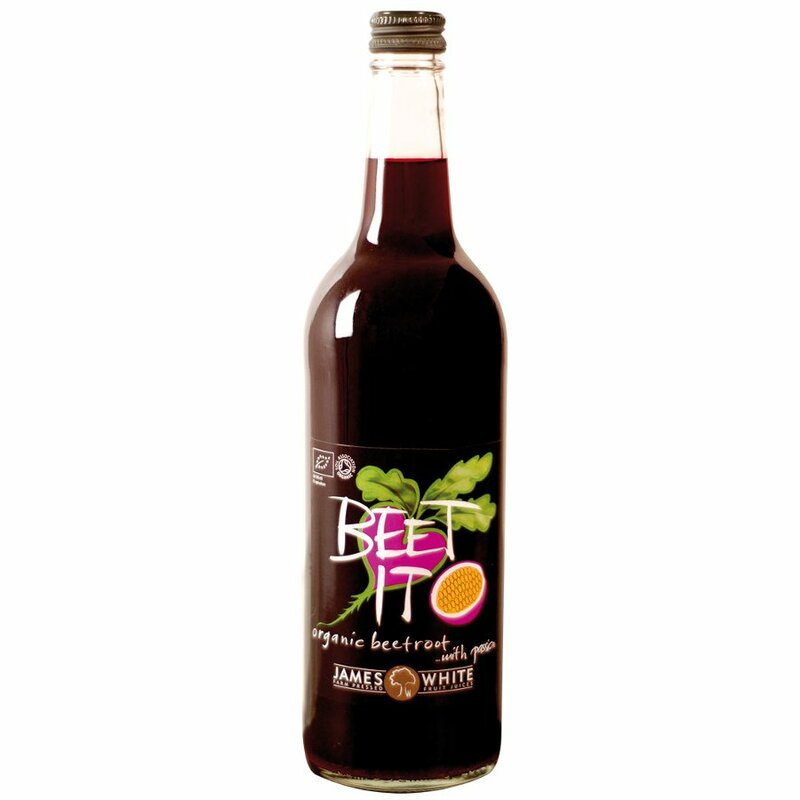 There are currently no questions to display about Beet It Beetroot Juice with Passion Fruit - 750ml. James White manufacturers a range of organic fruit juices from its farm based in Suffolk. Whites Fruit Farm was established in 1993 and their current range of beetroot juice is certified organic by the Soil Association. Find out more about how beetroot juice can improve sporting performance on our blog.